Discipline. Doesn’t it seem like some people are so naturally amazing when it comes to discipline? Don’t you admire (hate) them!? I have the pleasure of being married to a man that is a pro in the area of discipline. I sometimes wonder how such a human exists. [pullquote width=”300″ float=”right”] The combination of knowledge, experience and passion maintained the discipline. [/pullquote]One area of life I’ve achieved discipline in recently is in the food I eat. How did I get there? For me, it took receiving knowledge and then putting it to the test. The experience led me to become passionate about the change. The combination of knowledge, experience and passion maintained the discipline. That seems to be how it works for me. The same has been true regarding spending quality time with God. That discipline has maintained itself because of knowledge, experience and passion. If only it would carry over to working out and waking up early! Someday! I remember sitting alone in a parking lot a couple years back spending time reflecting on the past and planning for the future. I wanted to pick a word to encompass where I was headed and I immediately thought of “discipline.” My thoughts were consumed with “change this, improve that, be better in this, more of that, none of this, etc.” I felt bad about who I was, not enough. Quickly after that I sensed God giving me the word “grace” instead. How loved I felt after that. Grace for where I was and grace for where I was headed. It was a healthy starting point for attempting any steps towards change. In my pursuit of discipline, I try to also hold on to God’s grace. 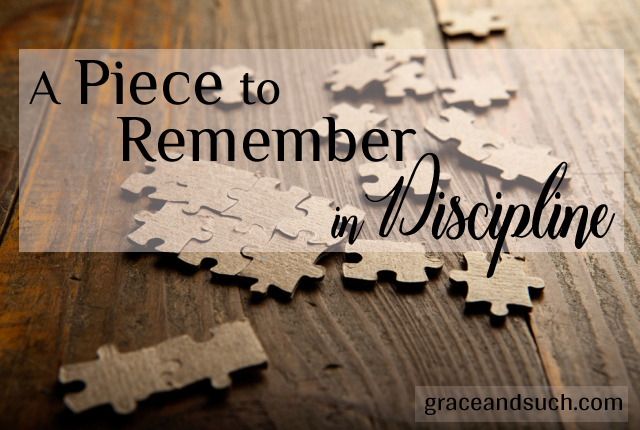 I like the idea of “perusing discipline.” It paints a great picture. Remembering that it’s often just a matter of applying what we know is helpful, too. Nice post. Amber, thanks so much!! You got it! “I felt bad about who I was, not enough. Quickly after that I sensed God giving me the word “grace” instead. How loved I felt after that.” God always provides such clarity when we take the time, slow down, dare I say discipline our impatience, to listen. Grace. I am beginning to thin, it’s the answer to everything. Thx, April. Beautiful story. Diane, I appreciate your words and encouragement – thank you! Slowing down to listen is key!!! Discipline maintaining itself because of knowledge, experience, and passion? That’s good stuff right there. Boom. 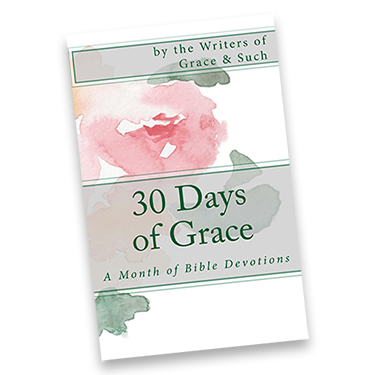 Why are we so willing to show others grace when they struggle with discipline, but not ourselves? Thanks for this great reminder, April! Right!!! Totally get that!! Thanks Jen!! Love the pairing of discipline and grace, it seems so natural but hard to put into practice some days. I’m adding that one to my daily mantra.